Justice Chandrachud said if Aadhaar is seeded with every database then there is chance of infringement of right to privacy. Justice Chandrachud agreed the majority decision that mobile companies cannot insist on Aadhaar. 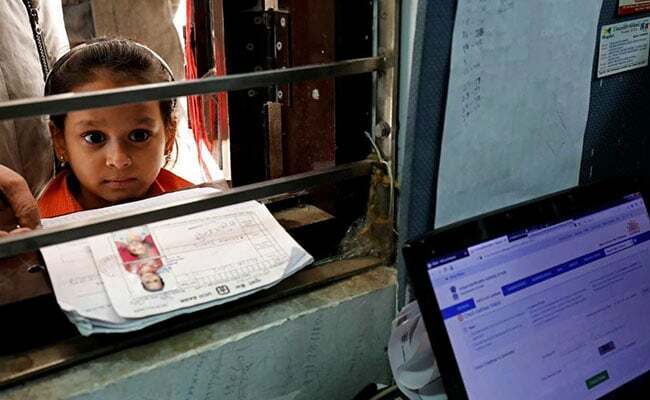 As Aadhaar was declared constitutionally valid with conditions by a majority verdict of the Supreme Court, one of the five judges said the national identity card scheme, in its current form, cannot be held to be constitutional. "Aadhaar allows constructing profiles of individuals, which is against the right to privacy and enables potential surveillance," said Justice DY Chandrachud in his dissenting judgement. On the allegation that the Aadhaar law was passed as money bill to bypass the Rajya Sabha, where the government does not have a majority, Justice Chandrachud said: "Bypassing Rajya Sabha to pass Aadhaar Act amounts to subterfuge and the law can be struck down." "Aadhaar cannot be treated as money bill and passing a bill as money bill which is not a money bill is a fraud on the Constitution," he observed. "The Aadhaar programme violates informational privacy, self-determination and data protection." The judge added that the project had failed to remedy the flaws in its design and had led to exclusion. While Parliament possesses the right to make a law, he said, the absence of protection leads to violation of various rights. The others in the five-judge constitutional bench ruled that the scheme empowers people on the margins of the society and its benefits far outweigh concerns about the violation of privacy and data breach. Three sets of judgements were pronounced. The first of the three verdicts was pronounced by Justice AK Sikri, who wrote the judgement for himself, Chief Justice of India Dipak Misra and Justice AM Khanwilkar. Justice Chandrachud said if Aadhaar is seeded with every database then there is chance of infringement of right to privacy. He said there was absence of regulatory mechanism to provide robust data protection. He said it is "impossible" to live in India without Aadhaar, which is a violation of the constitution. On the Aadhaar linking of bank accounts, he was one with the other four judges, and said: "The assumption that every individual who opens a bank account is a potential terrorist or money launderer is draconian." Allowing private players to use Aadhaar will lead to profiling which could be used to ascertain political views of citizens, he added. He also agreed with the majority decision that mobile companies cannot insist on Aadhaar. "The mobile phone has become an important feature of life and its seeding with Aadhaar poses grave threat to privacy, liberty, autonomy," he said, favouring deletion of consumers' Aadhaar data by mobile service providers.